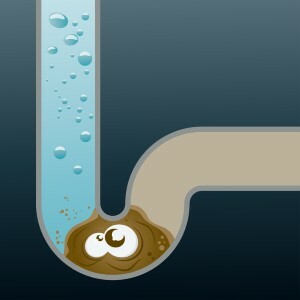 Do You Have Clogged Pipes in The Colony, TX? Do You Have Clogged Pipes in The Colony? Part of remodel planning for any room in your home that has pipes and faucets is to determine whether you have clogged pipes that need to be cleaned or replaced. Clogged pipes in The Colony can collect mineral build-up or rust over time. In some cases, this corrosion or mineral build-up can reduce the interior size of the pipe by half, restricting water flow. If this is the case, you probably should replace these pipes as part of your remodeling project. It will cost less to do all of the needed work on a room at once. It also makes a world of sense to fix the pipes before you install new plumbing fixtures, cabinets and flooring. So how do you know if you have clogged pipes in The Colony? The best way to make a preliminary decision is to evaluate the flow of water through your pipes and out the faucets. It is not unusual for homeowners to confuse water pressure and water flow. The water pressure should be consistent in all parts of your house. Water pressure should also be the same in your home as in other homes around you. Water pressure should also be the same at all times of the day and night. It is the flow of water through the pipes that is affected by corrosion or mineral build-up inside the pipes. Check the flow of water – the amount of water coming out of the faucets – in several parts of the house. This should be the same, for example, in all faucets in the house. If you find that the flow of water from a specific faucet is less than other faucets, you need to do some further investigation. If you have noticed that the flow of water through faucets in your neighbors’ homes is much greater than yours, you should do further investigation. Without adequate water flow – no matter what the water pressure – whirlpool tubs, spa showers, and even toilets will not work properly. It is important then to check the pipes before your install new plumbing fixtures. ABS pipe can be connected to several kinds of metal pipe, but is used mainly in bathrooms for waste removal and drains. CPVC is mainly used for hot water; it is a good substitute for copper pipe. Clogged pipes cause reduced flow of water into and through faucets, shower heads, etc. Replacing old, clogged pipes in The Colony will increase water flow in general. It will also improve the working of dishwashers, washing machines, spa showers, whirlpool tubs, and more. The most cost efficient time to replace clogged pipes is during a remodel. 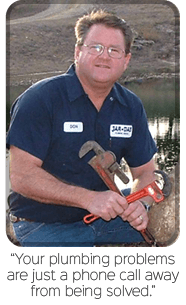 If you are looking for a drain cleaning service in The Colony and North Texas, then please call 972-625-0083 or complete our online request form.